Behind The Bullet was originally a Killzone 2 commercial that evolved into a 4-dimensional information-loaded video clip. It’s as cool as it sounds. It’s available for download on the Playstation Store as a game, and reasonably so. The premise is that of following the flight of a bullet fired from the gun of a soldier as it flies across a battlefield and hits the enemy commander. This is very cool to watch in it’s own right, even the music is once again superb, just like the choice of the Flower Duet song for the reviews trailer. This gets even better with the addition of changing the speed at which the clip is played, the angle, the stage of production you are looking at and even the commentary you are listening to. There are even hidden details like someone getting shot or an explosion that you would normally miss if you could not pause it and look around. An aforementioned feature is the production stages mode, in which you can flip through all the different levels at which the movie was made and rendered. There’s a shadow/lighting layer, a distance layer and more. It also includes letting you change how much of the screen is stripped away, letting you compare things. Commentary was also mentioned earlier, with the voices of the director, lead tech and others all providing background on the clip and pointing out particular features. They are attached to the time on the commercial, not from when they are activated, so you won’t have to restart BTB on order to hear it all. This was a joy to watch and showcased some new graphics and rendering techniques not used in the game. The original advert is below. Sorry for the approx. month-long hiatus – school has started and I have also recently been ill with flu (not swine flu, just a flu) and a gastrointestinal bug. A lot of stuff has gone by, including the sixth Harry Potter movie, the Ghostbusters game, the London Garden project and more. To start with, I am co-authoring a new blog, called Sheldon Is Our Homeboy and It’s all about a character from a TV show. Head over there for more. It’s not really my idea and I’m taking care of housekeeping more than anything else, but it’s mildly fun. InFamous in fact deserves a lot more praise than my original scathing review. Having mastered the steep learning curve (my only major beef) the game becomes fun and enjoyable to play. It’s like Assasin’s Creed with Mirror’s Edge’s ‘flowing parkour’ style, plus superpowers. Combat is repetitive after a while with no cool tricks to do in the beginning, but this is quickly remedied as sticky electro-grenades, static gliding and other powers are unlocked. The story takes 2 branches depending on whether you make ‘good’ or ‘bad’ karma decisions. These come in the form of choosing to steal supplies or earn them, stop a riot or inflame it and many more. Often the ‘good’ decisions come with an associated cost, such as a harder time winning a battle, or your objective is better guarded. The karma system also affects what powers you develop. ‘Good’ karma develops powers that restrain and incapacitate the enemy quickly, while ‘bad’ karma comes with highly destructive and indiscriminate powers. Moving around the city is fun and easy, especially if you have prior experience with Mirror’s Edge. The predisposition to find faster ways of getting around helps a lot. The main character is a bicycle courier called Cole who is asked to deliver a package that blows up en-route. when he comes round, he is in the middle of a blast crater with new-found superpowers. Soon after, a plague hits the city and a quarantine goes up. He then makes contact with a federal agent on the other side of the quarantine who tasks him with finding her husband, another agent who was investigating a terrorist ring who were making a biological weapon that is likely to be what you were delivering. This game is very good once you learn the in-and-outs, and I cannot stop playing. It’s very addictive. It’s my birthday today, a big thank-you to my family for all the crap from me they have put up with for years. 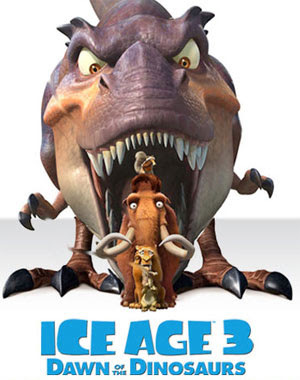 I have had a wonderful day, and will be reviewing the games Orange Box, InFamous (properly) and the Disney-approved kiddy slush movie Ice Age 3.